North Otago players celebrate as Bill Pile scores the game-winning try against Australia at the Oamaru Showgrounds in 1962. Photo from ODT files. This year’s North Otago’s sporting prowess is renowned despite the low population of this district . . .
Development of our swimming talent is the success story of 2015. Seventeen local swimmers under coach Narcis Gherca brought home a massive total of 45 medals, set 76 personal best times, and many qualified for the 2016 national age group championships. Take note of swimmers like Micah Hayes, Tandia Gooch, Jasmine Emery, Danny Gilbert, Iessha Mansfield, Tiana Mansfield and Imogen Keeling. Oamaru rowing club administrator Peter Scott maintains the eighty active rowers on the water this season makes the club in the biggest in its 128th year and comprises School, Club, University and Masters rowers. Most satisfying for him is the great parent support and mingling of all local secondary schools. At last weekend’s regatta Oamaru’s Mark Taylor, Charlie Wallis, Jared Brensell and James Scott were outstanding. 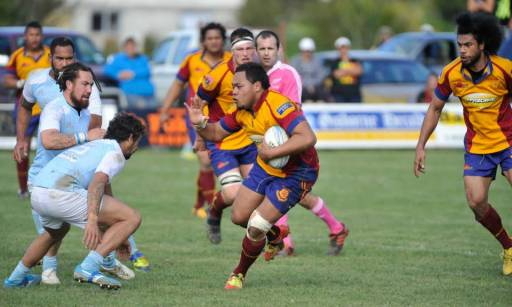 North Otago rugby’s consistency has been the key to significant performances over the last two decades. The playoff systems for initially divisional, and later the Heartland competitions, have been in existencefor nearly two decades.North Otago has made those playoffs on nineteen times since 1997 taking titles on four occasions. 2015 was no exception with Lemi Masoe and Ralph Darling again making the NZ Heartland XV. The North Otago senior cricket side is currently only one match away from winning the zone four Hawke Cup challenge repeating last season’s effort. This season the team had two outright wins against Otago Country and Southland. And there’s games coming up against South Canterbury (9/10 Jan) in Oamaru and Mid Canterbury(23/24 Jan) in Ashburton. Winning the Ian Smith Trophy for only the fourth time was the feature of the North Otago mens hockey side this year. On an individual basis Logan Jopson and Jonty Naylor took a further step in their development being selected in the Southern under 18 side. On the club scene Waitaki Boys’ first X1 won the second division South Canterbury title beating Tainui B,3-0 in the final. Valley Gold won the2015 premier grade netball title beating Waitaki Girls’ Wildfire in a thriller late in August. Wildfire led by four at the end of the first quarter, three at halftime, and two at three-quarter time before Valley Gold stormed back to win 37-35. Jennifer O’Connell was impressive for the Waitaki Girls’. Her ability was further confirmed by her selection for the pathway to podium system developed by Netball New Zealand, one of three from the southern region, and she will play two games for the national development team in the Cook Islands this week. Football Waitaki caters for over 480 children including teams from Twizel and Omarama. In competition, St Kevin’s U/18 finished second, Waitaki Boys’ U/16, second and Meadowbank U/14s finished fourth. Young players coming through the ranks and heading for senior ranks are Caleb Roberts, Riku Koyama and Tom Prestidge. The highlight of the basketball season was the performance of the North Otago U/15 team which qualified for the nationals beating Otago in the process. Individually Harry Thorp and Tom Crutchley from Waitaki Boys’ are in Las Vegas with the Mainland Eagles Academy team while Matt Brien of St Kevin’s made the National Secondary Schools A tournament team. I had an imaginary friend once. When I used to live here. Tom wasn’t really much of a friend. He would do all sorts of horrendous things and then conveniently disappear, leaving this kid to take the rap. Where is Tom now? Who cares? Probably prison, politics or big business…. Five Forks livestock manager Duncan Kingan’s “other life” complements his day job looking after heifers. Weekends and intervals during the weeks spanning the rugby season, he’s better known as Old Golds rugby manager, a position he’s held for the nine years since his long stint as Valley premier manager. In May his season begins, and is hands on till competition ends in late October. “Once Heartland announces the draw, NZRU presides over a conference phone call with all Heartland managers,” Duncan (56) said. “Discussion on the season covers any new protocols and rule changes, and mirrors the ITM setup.” When the Heartland competition launches in late August, for each “away” fixture he contacts the opposition liaison officer to ensure any North Otago pre-match training and warmup requirements can be met. “The first practice of the season extends to taking individual uniform measurements and generally to indicate management’s expectations of players, on and off the paddock. Much of Duncan’s responsibility is behind the scene organisation such as flight and booking confirmations and maybe player schedule changes, discussions with the bus driver who meets the team at the airport and with the opposition’s liaison officer, hotel arrivals and any special requirements. Initial accommodation and bus bookings are handled by NORFU CEO Colin Jackson and Murray Pearson respectively. Last Friday for Duncan dawned at 3.00 am to complete farming arrangements before joining the team bus at 7am in Oamaru to head off to Gisborne via Dunedin Airport. Relaxing was not an option until after phone calls to fine tune Air New Zealand arrangements for the accompanying massive baggage and airport arrival time. On his metal all day, in Gisborne after dinner Duncan assists with strapping and rubbing with team physiotherapist Phillipa Masoe. “Match day. 8am: light breakfast, 10am: players meet with coaches, 10.30 am: pre-match meal followed by the rubbing and strapping, 12.45pm: team meeting, 1.30pm: arrive at the match venue.” Then Duncan swings into informing media of any player changes, and to seek the referee for warm-ups and inspections of team boots and gear. The team returns to the changing room for their final ten minutes until 2.30pm kickoff. Once the game finishes, if necessary Duncan organises a doctor for injured players, and within 20 minutes he rings detailed match results to the media. “At their hotel players, after the game, are reminded what is required of them that evening and of the morning’s home flight arrangements. Before Sunday’s breakfast the players have the “popular” pool session to alleviate bruised and stiffened bodies and soon we’re homeward bound.” After the Poverty Bay game in Gisborne Duncan’s weekend did not finish until he arrived at his Five Fork home about 9.00pm.on Sunday, and this week he’ll face a similar scenario when North Otago is scheduled to play Horowhenua-Kapiti at Levin. Sports participants and spectators, when their team fails, at some stage may harbour blame for the referee or umpire involved. I tend to support the referee/umpire who is probably not at fault. So who are the culprits? Any blame should be shouldered by those who, like the International Rugby Board (IRB) or International Cricket Council (ICC), with due expertise attempt to right what appears to be a wrong or introduce new legislation to, in the first instance, endeavour to make the sport more attractive to supporters. So my question is to the IRB. When will it preside over a strenuous enquiry into the obnoxious maul in today’s rugby? The maul grievously offends that basic rugby rule that no player may be hindered from affecting a tackle on the player in possession. A given is that player is at that time within the laws, not offside for instance. I single out the maul simply because many teams, jealous of the All Blacks’ skills, reason that the maul which protects the ball carrier, is one route to inhibit the All Blacks’ power. Realistically, the maul simply allows seven forwards, usually from a lineout, to assemble in an arrowhead formation to protect the ball carrier securely attached to the back of the group and who thus becomes untouchable by the defenders. This practice is a blight on the game and does little to stir positive emotions in supporters. In cricket there is the Duckworth-Lewis system, an attempt to calculate runs-per-over required when a fifty over match is interrupted by rain. This mathematical formula devised by English statisticians Frank Dunlop and Tony Lewis, attempts to set a statistically fair target for the team batting its second teams innings, and is based on the score achieved by the first team taking into account wickets lost and overs played. The equation: Team One’s score is multiplied by the number found by dividing Teams Two’s resources by Team One’s resources. Simple? A phone app for this ICC system maybe on the way? And in tennis, why does a player gets a second serve if he fluffs the first? How many know that the football goalkeeper must keep his sleeves down throughout the game so the referee can see who punches the ball away? In water polo are you aware that your crotch is sacrosanct. No grabbing, kicking or hitting, and it’s illegal to splash water in an opponent’s face? Women’s wrestling participants may not wear underwire bras, while in baseball, if the ball lodges in the umpire’s mask, all runners advance one base. And many think the rugby maul is a problem. to allow the building of Rugby Union offices plus the creation of a lounge area which will be divided with movable doors so that it can be divided into smaller areas if and when required.In addition it is presumed that cricket administration will be catered for as well. Sounds good to me.